Pioneer of one of the fastest growing trends in the industry today, electronic music, composer Jean-Michel Jarre elevated the genre to new peaks of popularity as early as the late 70’s and 80’s with 80 million albums sold worldwide, to date. Emerging as an innovative international superstar, he creates a new format of out-door concert performance that has contributed to break the ground for a new generation of out-door live cultural events. 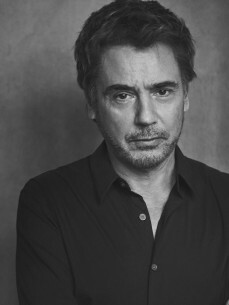 Multifaceted artist, Jean-Michel Jarre is also composer and lyricist of milestone hits in his native France and composer of international movie soundtracks. Apart from his activities directly linked to musical composition, Jean Michel Jarre has been spokesperson for IFPI and has headed various lobbies for Internet copyright legislation before the European Parliament. Since June 2013 Jarre was elected president of CISAC succeeding the late Robin Gibb.